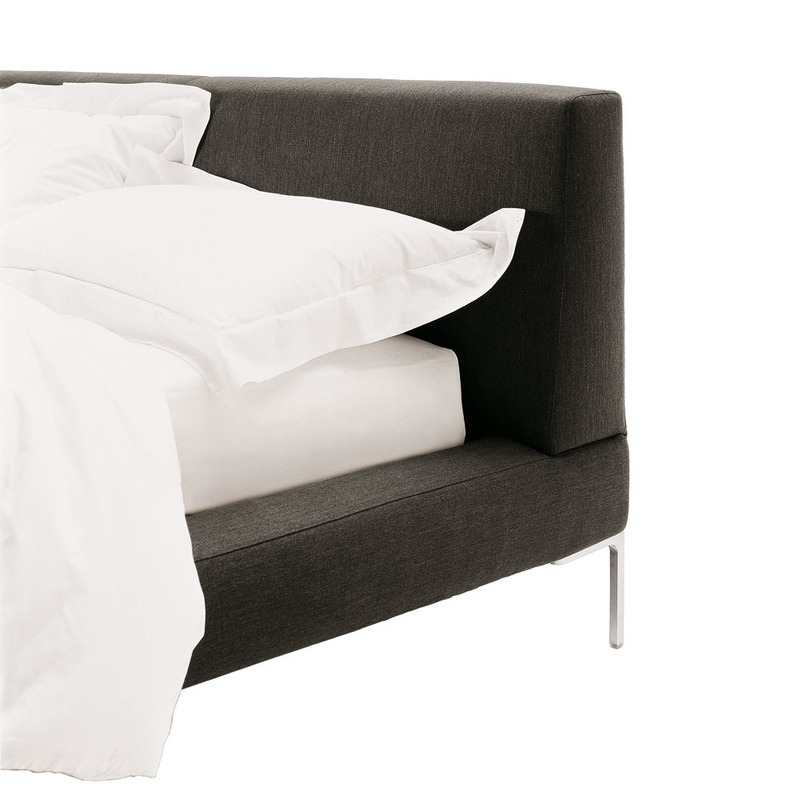 Simple upholstered bed based on the design of the famous Charles Sofa range, this bed comes in two versions - with the frame extended, or the same size as the mattress. If you cannot see the version you are looking for in drop downs above, please call us on 020 3397 3723 or email purves@purves.co.uk to discuss your specific requirements in finishes and upholstery. Please note samples are available in return for a £10 deposit. Dimensions: width: 191/211/231cm to fit mattress size 160/180/200cm respectively, height 87cm, length 236cm with the extended frame. Dimensions: width 170/190cm to fit mattress size 160/180cm respectively, height 87cm, length 221cm with the narrow frame. 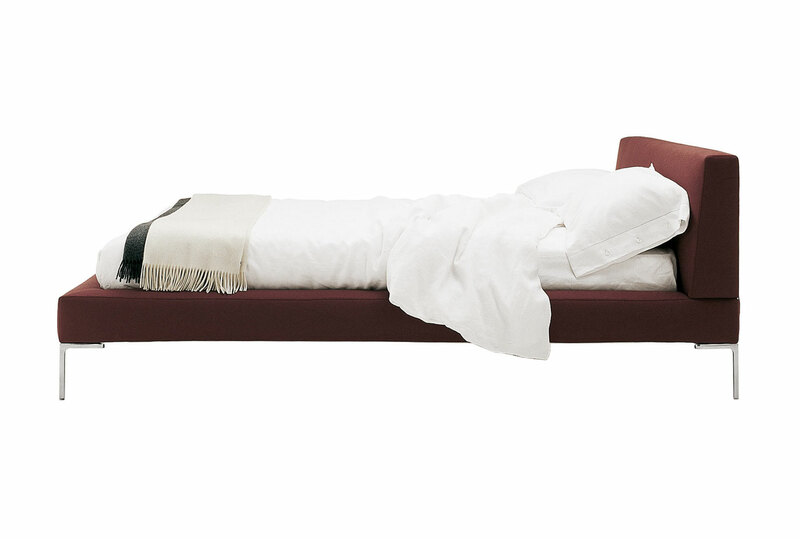 Fabric and Leathers: The Charles bed is available in a large collection of B&B Italia fabrics or leather, as well as your own selections. NB: SLATTED BASE AND MATTRESS NOT INCLUDED - MANY OPTIONS ARE AVAILABLE, please call for more detail. * From price is for an LC160 Charles bed (for a 160 x 200cm mattress) covered in B grade fabric, excludes slats and mattress.